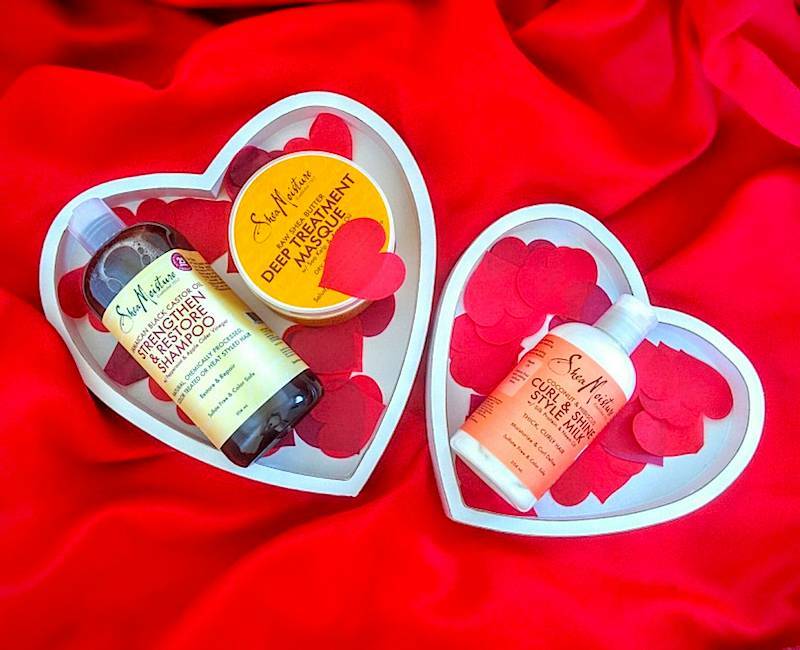 Shea Moisture is an American brand that has been popular with naturalistas across continents. Their product portfolio is extensive, covering bath, body and beyond for all in the family. The popularity of the brand grew as more and more natural hair bloggers and vloggers sang its praises. Those of us in the UK relied on faithful friends and kind family members to post products over to us, unless of course we were going holiday to the USA and we bought it ourselves. While there have been stores selling Shea Moisture in London, their prices have always been over the odds.. This all changed when Boots UK obtained the contract to import their hair products. My favourite go-to range from Shea Moisture has always been Yucca and Baobab for fine, thin hair but unfortunately it didn’t make the crossing to the UK. The Superfruit Complex is suitable for all hair types but it was not my favourite. So I began to mix the products to fit my hair’s needs and in doing this I became a Shea Moisture Mixtress. As a naturalist with thin curly 3B texture hair, I’m always on the lookout for products that provide hydration, popping curls and volume. Within my arsenal of tried and true Shea Moisture products are Jamaican Black Castor Oil Shampoo, Raw Shea Butter Deep Treatment Masque and Coconut & Hibiscus Curl & Shine Style Milk. I used my top three products on the weekend when I have more time for a treatment. I prefer the Jamaican Black Castor Oil Shampoo because it makes my hair feel super soft and silky. It contains apple cider vinegar which is known to regulate and balance pH levels on the scalp. I follow up with the Raw Shea Butter Treatment Masque to give my hair some TLC. During the week, I’m usually dashing here and there so I keep my hair regime to a minimal; oiling my scalp once or twice at night, and in the daytime quickly slather in a styling product. Using the Raw Shea Butter Deep Treatment Masque makes me feel that I’m giving my hair good care during that time. Along with Shea Butter, the other featured ingredients are Sea Kelp which is meant to seal and smooth hair cuticles and Argan Oil to promote hair elasticity. Finally, island girl that I am, the Coconut & Hibiscus range has a special place in my heart. I always feel as though I’m transported to some gorgeous sunny isle when I use it. The fragrance is sublime and it lifts your spirits. The Coconut & Hibiscus Curl & Shine Style Milk is perfect for my hair; it doesn’t weigh it down and my wash 'n' goes are always on point when I style with it. With the exception of the masque, I use the same process on my little daughter’s hair as well; they are just right for her long 2B wavy hair. Shea Moisture has a product to fit every hair need. If you can't commit to one range, you can mix and match as I do. Their products work well together and alongside other good quality hair products. Shea Moisture Jamaican Black Castor Oil Shampoo is priced at £12.99, the Raw Shea Butter Deep Treatment Masque at £12.99 and Coconut & Hibiscus Curl & Shine Style Milk is £10.99.